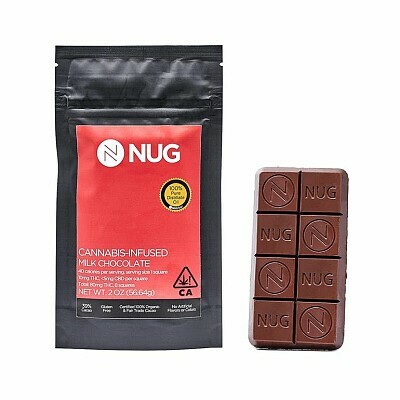 Using organic and Fair Trade certified ingredients, NUG Milk Chocolate bar is 39% cacao with caramel undertones and a smooth finish. Imagine that delectable bite crafted together with meticulously extracted Cannabis oil, for a flavor that will please your palette and elevate your experience. With 10 mg THC per square, this enticing edible can easily be enjoyed while out conquering the weekend, or at the end of your day.